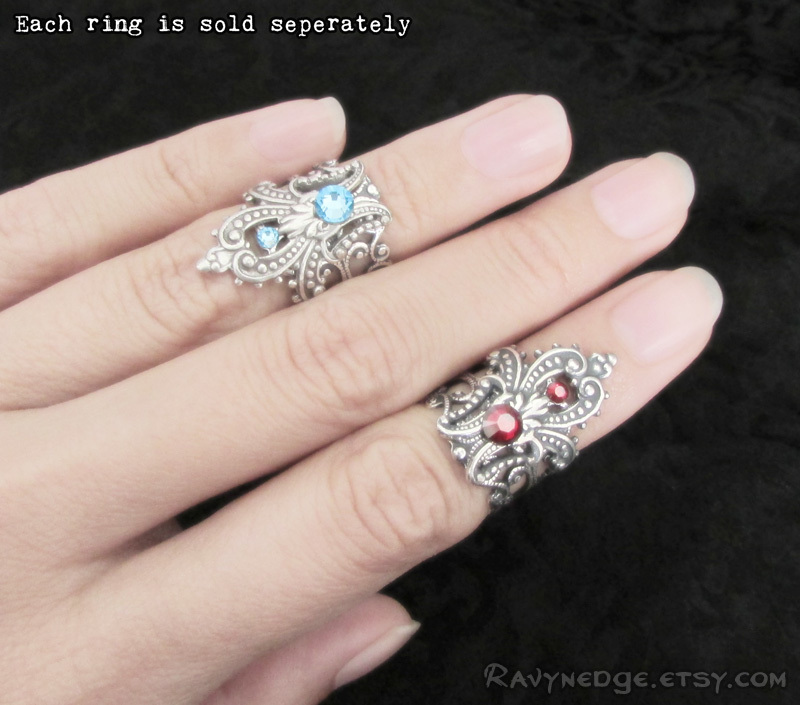 Fairytale Endings Knuckle Ring - Adjustable Midi or Pinky Ring by RavynEdge. 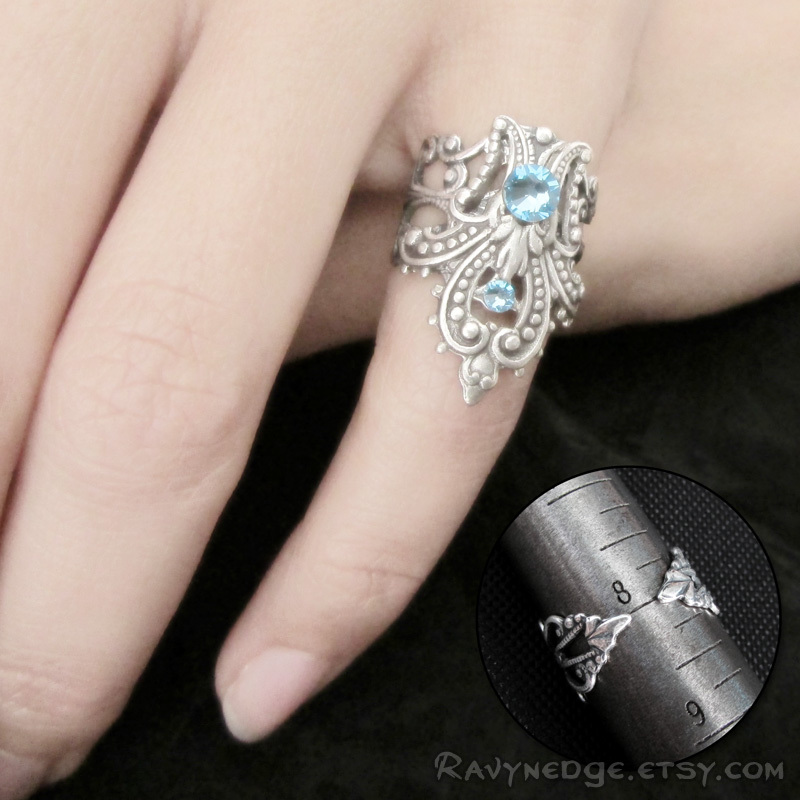 "Fairytale Endings" is a knuckle ring made from ornate filigree formed to wrap your finger comfortably. Features glittering Swarovski crystals over a fleur-de-lis design. Wear it with the point up or down. Looks great with other rings too. 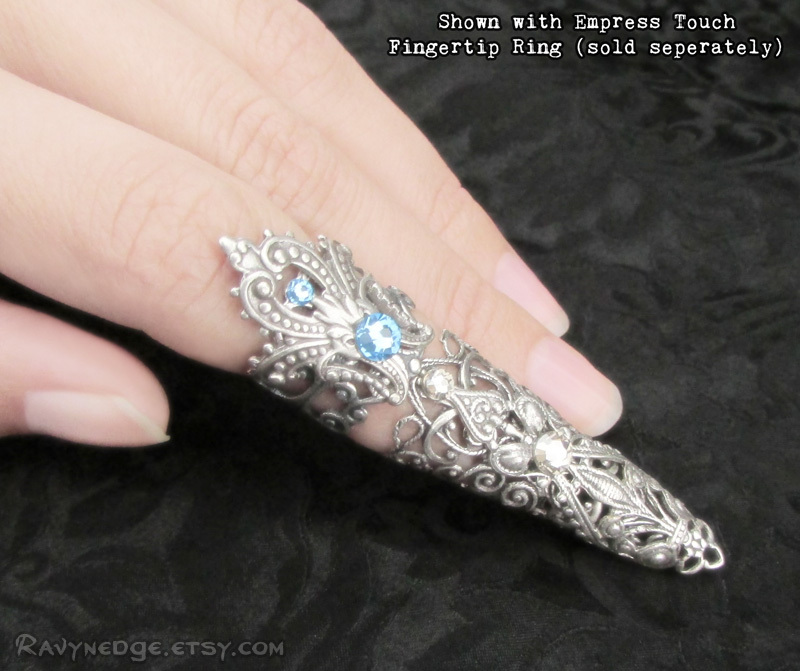 Adds a delicate, yet stunning look to your finger! Can be made with a crystal color of your choice. Adjustable to fit most finger sizes. 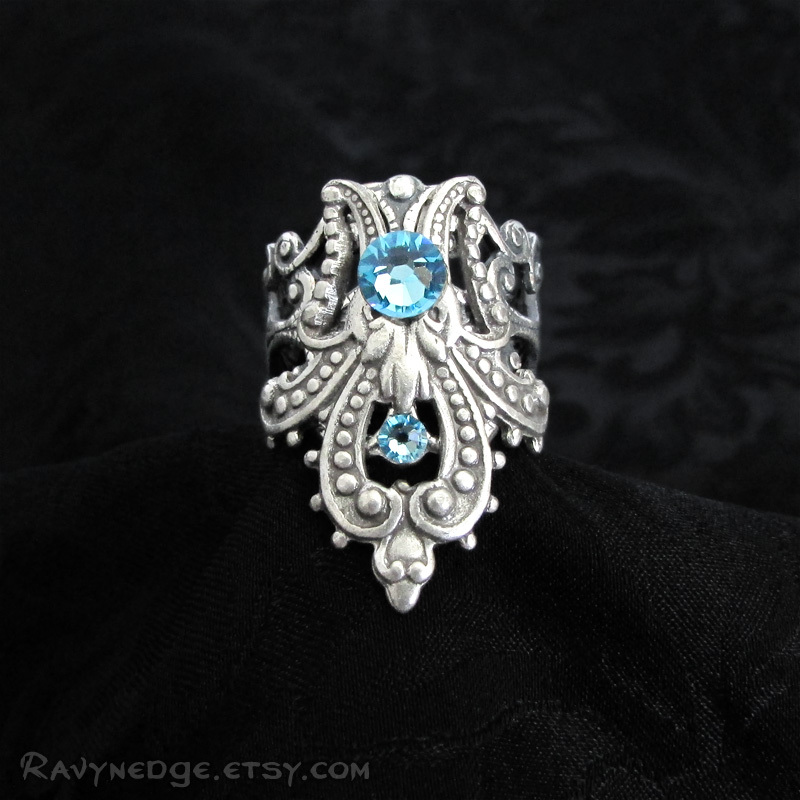 This is a small ring made to fit below the top knuckle of your finger, but it can be worn as a regular ring. At sizes larger than 7 US there will be a gap under the finger. 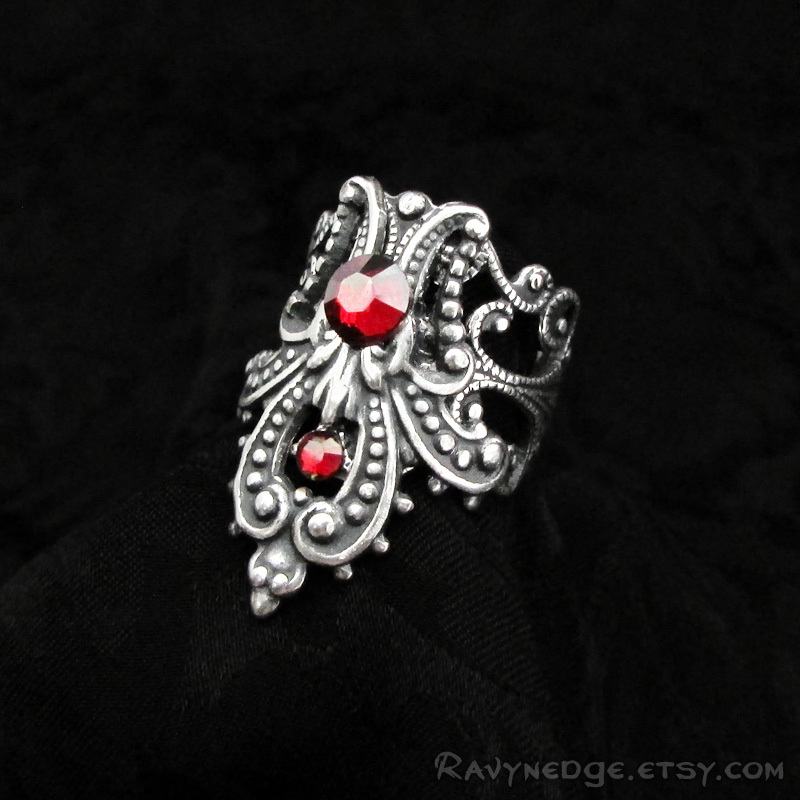 Made of sterling silver plated brass with an oxidized finish to give that wonderfully romantic and gothic look with a vintage appeal!